The Darvaza gas crater (Turkmen: Jähennem derwezesi, Җәхеннем дервезеси), known locally as the "Door to Hell" or ''Gates of Hell", is a natural gas field in Derweze, Turkmenistan, that collapsed into an underground cavern, becoming a natural gas crater. Geologists set it on fire to prevent the spread of methane gas, and it has been burning continuously since 1971. The diameter of the crater is 69 metres (226 ft), and its depth is 30 metres (98 ft). 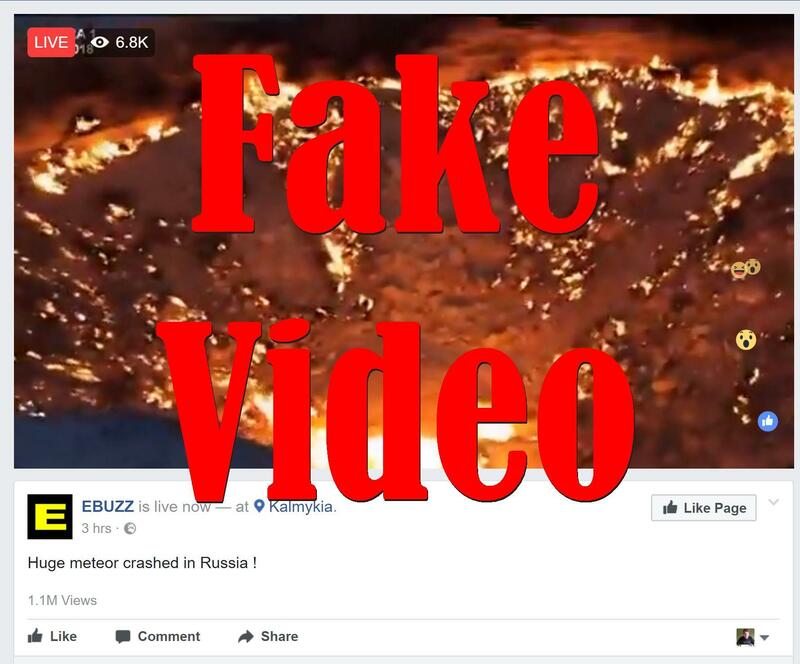 Don't be fooled by fake live Facebook videos: sometimes page owners will splice together a looping video for hours on end and claim it is a live stream in an effort to attract as many likes, shares and comments to the page in a short period to make Facebook's algorithms think the page is more important than it really is. Don't fall for it! : It appears the original video has been taken down.